In 2008, the combination of technical breakthroughs in directional drilling and hydraulic fracturing technologies started a wave of industry transformation and disruption that continues today. One US company at the forefront of this is Devon Energy, headquartered in Oklahoma City. A Fortune 500 oil and natural gas exploration and production company, Devon has some 3,400 employees and a capex of $US 2.4 billion. In Canada, Devon produces heavy oil through steam-assisted gravity drainage, producing some 35,000 barrels a day from each of three plants. Then there’s the horizontal drilling and hydraulic fracturing (fracking) of shale oil deposits throughout the US. Working in some of the most adverse conditions in the world, Devon’s asset integrity approach is based on constantly monitoring data from its rigs. Data technology, along with team-building in its WellCon rig control centres, is not only improving drilling accuracy, but enabling the implementation of autonomous processes. Ben Williams, VP and CIO of Devon Energy, shared his insights into the company’s challenges and its asset integrity approach at this year’s Mainstream Conference. Williams says Devon has invested heavily in asset integrity because of the hazardous environments its rig locations present to workers and equipment. “Our asset integrity teams on the oil-producing plants have the unenviable problem of having to keep up with inspections on a highly complex asset,” Williams says. The other side of the equation is that it gets incredibly cold, and northern Alberta is home to some of the deadliest roads on the planet. “It’s dangerous work for these guys to get out there and physically assess the asset,” Williams says. “We still have guys who stand on the rig floor in probably the most dangerous location anywhere in the industrial world. The ideal future vision is an unmanned rig, a fully autonomous station. The integrity team had to find solutions to help them do their job in these conditions, and the obvious answer was to use drones. The technology is readily available and Devon didn’t have to train drone pilots or obtain aviation licenses. It was a case of partnering with the right drone operator. “So now we’re using drones regularly to do asset inspections and this is taking people out of harm’s way” he says. During start up, the steam pipes go from minus 40 degrees to 400 degrees Celsius. The pipe riser started to bind with the pipe and the pipe was about to slide off. Catching this allowed Devon to stop the start up. It averted a hundred million dollar repair and environmental clean up of the extremely briny water from the pipe, plus a week of lost production. Williams stresses that the integrity team is doing more than taking images and reporting status. They are building a foundation, adding an upgraded baseline of asset data every time they do an inspection. The aerial pipeline images, for example, are assigned to the equipment, not filed away, so staff can make comparisons each time a new picture is taken and see changes over time. With the drones and the data banks filling up, the company is doing higher quality work, more safely, and at lower cost. The WellCon (well construction) centre gets real-time, sub-second data off the drilling rig and full downloads from the drill bit. Initially, the system started with a basic data visualisation. But the engineers realised that a lot of the information was coming from the pipe about 90 feet behind the drill bit. If the angle measured there was just one or two degrees off, the drill tip would miss the target zone completely. “So we built a model to tell us where the drill bit is based on the where the measurement was being taken,” Williams says. There are also fewer issues with broken and twisted bits, because the team can look at torque and drill location more accurately. Williams describes the resulting efficiencies as game-changing. In this excerpt from his presentation at Mainstream Conference, Williams goes in-depth into how they use real-time data to optimize their fracking process. Williams says Devon’s drilling teams have been incredibly open-minded about the changes. Everybody involved in a WellCon centre is measured by the same output, he says, which is to improve the company’s capital efficiency and execution. The ultimate vision is an unmanned, fully autonomous rig. With the additional data streaming in from every piece of machinery, maintenance is getting more complicated. To keep on top of it, Devon’s engineers are complementing their core disciplines with data science. They have realised that if they learn about statistical analytics, they can learn about varying methods. They can then create statistically interesting combinations of scenarios and be more predictive in the way they work. With hundreds of wells drilled a year, the opportunity to optimise is constantly evolving. “Our engineers’ jobs are growing and so is their sophistication,” he says. “We had earlier scenarios where we tried to apply statistical analytics, and we realised early success is your greatest enemy. If you drill a successful well, you then drill that same well over and over again. Inaccessible regions and the hazardous nature of drilling has driven new methods for asset maintenance. These are driven by data, not technology, and the teams that analyse it. The challenge is how you engage people in a common purpose. Integrated teams mean people from various fields bring together their talents and passions. The ‘secret sauce’ for that to work is to have everyone aligned to one set of goals. Promoting personal development is also important. Engineers become data analysts, expanding their competencies. 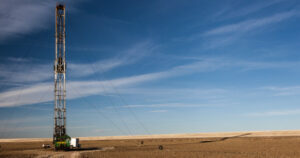 Rig operators become data controllers and monitors. The real-time data garnered from the drills has helped lower costs by 30-40% as wells are placed more accurately. Meanwhile, Devon Energy advances towards its goal of autonomous rigs, operating in the harshest environments and relaying information in real time to the WellCon centre. Data-assisted asset integrity will enable it to track its assets throughout their life cycle, with better financial returns on capital investment. Hear more from asset management’s boldest innovators at Mainstream Conference. 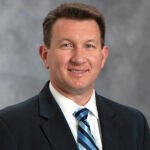 Ben Williams is VP and CIO of Devon Energy, a North American onshore E&P company based in Oklahoma City. He has worked in asset-intensive industries for 24 years and most enjoys empowering people with technology.